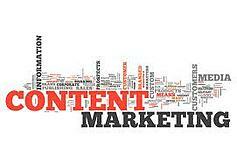 To say content marketing is "among B2B marketers’ top conversation starters for 2013" is probably an understatement. According to a survey conducted by HiveFire last February, 82% of the B2B marketers polled said that content marketing is the most widespread marketing strategy they use. Ahead of SEO. Ahead of events. Ahead of print/radio/TV advertising. Forbes recently validated the power of content marketing in November, stating that 2012 was the year of growth for content marketing. Why is content marketing creating such a buzz and why should you care? It’s simple, really. Content marketing is at the heart of at least three high priority areas that B2B marketers want to cover—lead generation, market education and brand awareness. HiveFire’s survey digs even deeper, revealing that the top content marketing objectives for B2B marketers are to engage customers and drive sales. Engaging customers and driving sales go hand-in-hand, and content marketing is the glue between the sticks. By providing more insightful content that hits the sweet spots of your target audience, you can help navigate your customers along the buyer’s journey and progress your leads at every key stage in the process. Being able to generate and disseminate rich content can also further validate your brand and distinguish your status amongst an audience of new customers. For burgeoning organizations, content marketing is also important for developing your voice as thought leaders in your respective areas of expertise. Being able to produce high-quality content is half of the challenge for a sound content marketing strategy. Reaching consumers in their preferred formats and interactive mediums is also a major point of emphasis. With social media functioning as a major marketing channel for B2B marketers, Facebook, Twitter and LinkedIn have turned into content-churning hubs for reaching the masses. Forbes told the stories of five big brands that were able to leverage social media tools to deliver personalized, digital content to keep their current customers engaged and strike up new connections across various channels. For the whole story, click here. What are your thoughts about content marketing? Give us your feedback below!